זו בשורה אולי קצת קשה, אך כזו שעל ראשי מגזר ה-IT והגנת המידע להיות מודעים לה: השעון החכם, שהולך ונהייה נפוץ, מצריך מחשבה מחדש והיערכות ברמת אבטחת המידע הארגונית. אז מה עושים? אקסטנד (Extend) המייצגת בישראל בבלעדיות את פתרונות MobileIron, מציינת בימים אלה חמש שנים לפעילותה בשוק ה-Enterprise Mobility Management בישראל. לציון המאורע ביקרה לאחרונה בישראל משלחת של בכירים מ-MobileIron, המתמחה באבטחת מידע וניהול תחום המובייל הארגוני. ראשי המשלחת העניקו אות הצטיינות "Mobile First" ליונתן טורצקי, מנכ"ל ומייסד חברת אקסטנד, עבור פעילותו בפיתוח השוק הישראלי במהלך חמש השנים האחרונות, הקמה של רשת שותפויות אסטרטגיות עם אינטגרטורים מובילים, ומכירה של פתרונות MobileIron ביותר מ-100 ארגוני אנטרפרייז ישראלים. בכנס השנתי של חברת המחקר STKI, שהתקיים באחרונה באוניברסיטת תל אביב, קבעה החברה כי MobileIron מובילה זו שנה רביעית ברציפות את תחום ה-Mobile Enterprise Management בישראל. חברת MobileIron, המתמחה בפיתוח והפצה של פלטפורמה לניהול מוביליטי ואבטחת מידע במגזר הארגוני והעסקי, הודיעה על תמיכה ותאימות של מוצריה לגרסת מערכת ההפעלה החדשה אנדרואיד. כלנית מונתה לאינטגרטור של פתרונות חברת MobileIron המתמחה באבטחת מידע וניהול המובייל הארגוני. המינוי הינו בעקבות הסכם שיתוף פעולה בין חברת אקסנטד (Extend) בראשותו של יונתן טורצקי, המפיצה בישראל של פתרונות MobileIron, לבין חברת כלנית. יונתן טורצקי, Extend: "השוק בעיצומה של נטישת הבלקברי. פלטפורמת MobileIron תסייע לארגונים לבצע הגירה מנוהלת ובטוחה"
"את הטרגדיה של בלקברי (Blackberry) אפשר לתמצת בשורה אחת. שווי השוק של החברה נחתך מ-83 מיליארד דולר בשנת 2008 לשווי שוק נוכחי של 3 מיליארד דולר. ראובן מייסטר, פרטנר: "המעבר ל-mobile מצריך לתת מענה לתחומי שליטה, ניהול ואבטחה. פתרונות MobileIron מוכיחים את עצמם בשלושת התחומים"
ראיון עם יהנתן טורצקי - "עשרות ארגונים בחרו בפתרון של MobileIron"
This week, MobileIron announced two new partners. Box joined the AppConnect ecosystem and Appthority’s App Risk Management service is available on MobileIron’s Application Inventory. CITEworld and Mobile Enterprise covered the Appthority news. Somehow, I omitted to include Noah Wasmer’s late night interview with the Wall Street journal office in Singapore on smartphone security risks and how to guard against them. MOUNTAIN VIEW, Calif. – February 14, 2013 – MobileIron, the leader in security and management for mobile apps, documents, and devices, today announced the availability of Web@Work, its secure mobile browser for the enterprise. MobileIron Web@Work extends MobileIron’s market-leading security and management platform for native mobile apps to web content and web apps, including those based on HTML5. Web@Work secures web data while preserving a native web-browsing experience. MOUNTAIN VIEW, Calif., TORONTO, Canada and STERLING, Va.—February 20, 2013 – MobileIron, the leader in security and management for mobile apps, documents, and devices, and Fixmo, a leading provider of mobile security and data protection solutions, today announced a partnership to provide federal government agencies with the most fully featured and secure solution for their Mobile First initiatives. By combining MobileIron’s security and management platform with Fixmo’s federally compliant system integrity controls, government agencies can confidently move beyond BlackBerry and give users the ability to choose the devices that will make them most productive. BARCELONA – February 25, 2013 – MobileIron, the leader in security and management for mobile apps, documents, and devices, today announced that it has expanded its partnership with Samsung to support Samsung KNOX, the most advanced Android solution for the enterprise. Samsung KNOX provides the deepest security and most comprehensive enterprise experience for both Mobile IT and end users. BARCELONA – February 26, 2013 – MobileIron, the leader in security and management for mobile apps, documents, and devices, today announced that MobileIron Version 5 Complete Enterprise Persona has won Best Enterprise Mobile Service at the 18th Annual Global Mobile awards, held at the GSMA Mobile World Congress in Barcelona. MobileIron V5 delivers the first complete enterprise persona for managing and securing mobile apps and content. MOUNTAIN VIEW, Calif. – June 7, 2012 – In the next 12-18 months, every major company around the world will have hundreds of mobile apps being used by thousands of users to access millions of documents. Mobile apps and content are becoming the primary way people do their work. This represents a fundamental computing shift that is as significant as the transition from mainframes to PCs. Building on its history of innovation, MobileIron, the leader in security and management for mobile apps, content, and devices, today announced the first complete security and management foundation for Mobile IT to make this transition to apps-based computing. MobileIron has been awarded the 2012 SC Award Europe for Best Mobile Device Management. The SC Awards Europe honour the professionals working to secure enterprises of all sizes and the vendors that deliver innovative security technologies. MobileIron was selected over several companies, including Good Technology and McAfee Enterprise Mobility Management "because of its ability to bridge the gap between the security needs of the organisation and the user experience demanded by the modern workforce." Gartner's recent MDM MQ also praised MobileIron due to our relationship with Partners like you. Gartner specifically call out the company's growth is highly based upon "a growing presence in multiple regions... thanks to its channel network." This includes some of Europe and Asia/Pacific (Australia, New Zealand and China. Gartner further notes MobileIron's Sales & Marketing Channel Programs offering "a very articulated and rich mix of partnership relations with distribution channels and OEMs (such as AT&T, Vodafone Global Enterprise, SingTel, Deutsche Telekom and Virtela), strategic technology partners (for example, Apple, Google, Microsoft, RIM, Cisco, HP and IBM), and business application partners – Accellion, Box, GroupLogic, iPass and MeLLmo (Roambi)". CAMPBELL, CA, Mar 22, 2012 (MARKETWIRE via COMTEX) -- YouSendIt, Inc., the leading provider of extended enterprise collaboration services, today announced a partnership with MobileIron, the innovator in enterprise management and security for mobile devices and applications, to help enterprises provide secure business-to-business content access and collaboration. MobileIron customers can now centrally provision YouSendIt's enterprise product line, Workstream by YouSendIt(TM), from MobileIron's Enterprise App Storefront, making it easy to deploy YouSendIt's Android, iPhone and iPad apps across the enterprise. DALLAS, Feb. 28, 2012 /CNW/ - Entrust, Inc., a global leader in securing online identities and information, today announced an evolution in the company's relationship with MobileIron, an innovator in enterprise management and security for mobile devices and apps. To better address the growing mobility needs of customers, the two companies will be introducing a new integrated solution that is planned for later this year and will be designed to enable Entrust on-premise and cloud customers to manage certificates for mobile devices and applications. MobileIron has launched the first multi-tenanted software as a service for mobile device management. Connected Cloud will support seven platforms including IOS (iPhone and iPad), Android, Symbian, Windows Mobile, Windows Phone, Web OS and Blackberry devices. In a similar fashion to its current on premise software, key features include the ability to restrict application installation on devices and alerts for telecoms managers if users are racking up excessive call charges due to incorrect selection of roaming agreements. MobileIron, the mobile device management (MDM) software provider, plans to support Apple iOS 5 beginning Oct. 12. Apple iOS 5 was officially released on Oct. 4. Now, we’re watching to see how many mobile device management specialists jump on the Apple iOS 5 bandwagon. Android has the foundation to support enterprise use, but there’s a handful of missing pieces that need to be addressed if it’s going to fully catch on in the corporate world. Below I look at five enterprise areas that Google and third-party developers need to work on. MobileIron, an early leader in the fast-emerging category of mobile device management, announced its cloud strategy, creating another delivery vehicle for software that helps make the consumerization of IT more palatable to the "IT" part of that equation. This version of the cloud service, while not quite as complete as the on-premises MobileIron offering, is a step in a good direction since managing even more computing devices isn't necessarily a headache that IT needs. LONDON, June 23,2011 /PRNewswire/ -- International legal practice, Norton Rose Group, has deployed MobileIron to enable the secure adoption of employee and corporate-owned smartphone and tablet devices into its enterprise environment. The solution from MobileIron ensures that every member of the practice has the same, secure and compliant access to corporate email and information whilst on the road, and supports a broader strategy to create an innovative, collaborative working environment. Together with its partner MobileIron, Swisscom offers an enhanced solution for centralised management of company smartphones. A remote management system now enables direct access to the devices. This provides extra security as the devices are thereby protected from misuse, are locked in the event of loss and the data can be deleted. LONDON, June 8, 2011 /PRNewswire/ -- AT&T* and MobileIron (www.mobileiron.com), the leader in enterprise management and security for mobile devices and apps, today announced that the MobileIron Virtual Smartphone Platform (VSP) from AT&T was awarded the 2011 Global Telecoms Business Innovation award for Business Services Innovation. Mobile device management upstart MobileIron late last week confirmed a $20 million round of Series D financing. The Mountain View, Calif.-based company, whose platform is used for enterprise management and security for mobile devices and applications, also said it had added 200 enterprise customers in 90 days and has expanded its workforce by 30 percent. MOUNTAIN VIEW, Calif., March 16, 2011 /PRNewswire/ -- MobileIron (www.mobileiron.com), the innovator in mobile device management and security, today announced that it has certified Motorola's newest Android devices, the Motorola XOOM™ tablet and the Motorola ATRIX™ 4G smartphone, for use by enterprise companies. To address the variations among Android devices and capabilities, MobileIron has established a testing system to evaluate and certify the Android devices that deliver enterprise-class security and management features. Mountain View, Calif. – January 19, 2011 – MobileIron, the innovator in mobile device management and security, today announced that the company has been nominated for GSMA's 16th Annual Global Mobile Awards in the Best Mobile Enterprise Product or Solution category. The award, which will be announced at the Mobile World Conference on February 15, recognises innovators that deliver best in class mobile products and solutions to the enterprise. MobileIron was shortlisted for being the first company to deliver a complete enterprise management and security solution for iPhones and iPads. A preview of features in MobileIron's latest software release. DALLAS, Nov. 16, 2010 /PRNewswire/ -- AT&T* today announced a new service to help businesses and organizations of all sizes better manage and help secure smartphones on multiple operating systems within their organization, MobileIron Virtual Smartphone Platform (VSP) from AT&T. MobileIron has officially released our v3.1 software for general availability. This latest release addresses a number of product enhancements and features that significantly improve the end-user experience, system manageability, overall product scale, along with enhanced support for Apple’s iOS 4 MDM capabilities. 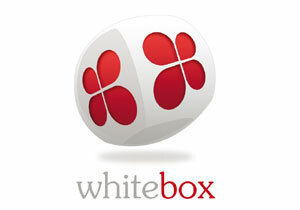 Whitebox Security announced today that it completed successfully its SAP integration certification. Apple released the iOS 4.0.2 Update for iPhone and iPod touch which addresses security vulnerabilities that have been making the news lately. iOS 4.0.2 can be downloaded and installed using iTunes. ARMONK, N.Y., - 01 Jul 2010: IBM (NYSE: IBM) today announced it has entered into an agreement to acquire BigFix, Inc., a privately-held company based in Emeryville, Calif. The move aims to accelerate IBM's efforts to help organizations more intelligently secure the enterprise by managing and automating security and compliance updates on thousands of computers globally. Financial details were not disclosed. BigFix Corporation, represented in Israel by Extend, brings a new era of efficiency and productivity to the fields of IT Infrastructure Management, Data Security, and Software Distribution within an organization. bigfix offers robust support services that complement the bigfix portfolio of high-performance enterprise systems and security manage- ment solutions to ensure you realize the greatest possible value. * BigFix reports that it sold over 1,000,000 seat licenses for its Decision Support System Software Asset Management (DSS SAM) product during the 10 months following the product’s release. * Introduced in January 2009, DSS SAM has become the fastest selling new BigFix product in company history. * DSS SAM customers represent all of BigFix’s top global vertical markets, with purchases from healthcare, educational, financial services, retail, government, and other sectors. # BigFix has made several feature and function upgrades to its Server Management solutions that enable customers to improve their ability to consolidate management of entire IT infrastructures across several dimensions of heterogeneity—endpoint desktop/mobile computers and servers; Windows, UNIX, Linux, Mac OS, and VMware ESX operating environments; physical and virtual assets; centralized and globally distributed architectures. "Thus, Global Security Challenge (GSC) together with HP Labs lanched the 1st Cloud Security Challenge competition to explore radically new ideas and game-changing solutions from around the world in order to make cloud computing more secure".